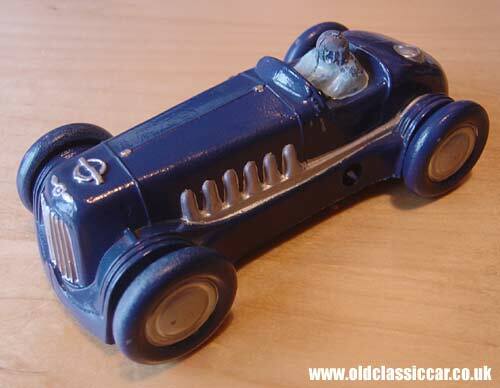 Gaiety Toy racing cars from the 1940s/1950s. Two different Gaiety Toy racers. 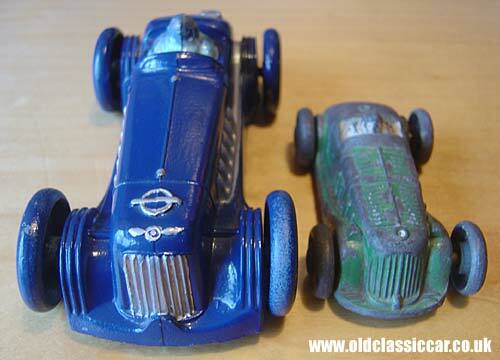 These two diecast toy cars, probably dating to the 1940s or 1950s, are marked up as Gaiety Toys - "A Castle Art Product". The larger of the two is finished in blue, and has a clockwork mechanism built into it. It measures 5" in length, and is made from a heavy one-piece casting, with the two axles poking through the side of the body. Neither toy has a base, and both also have cast wheels. 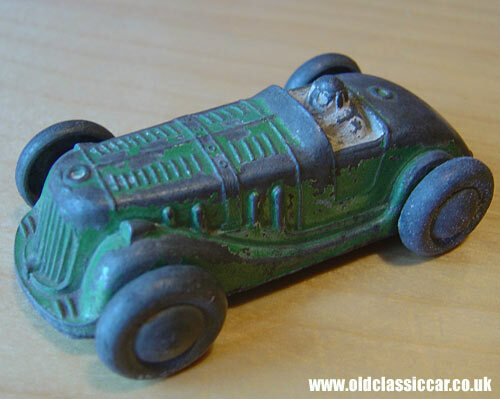 The second toy, still wearing the remnants of a green paint finish, measures 3.25" in length and is a simple push-along toy.